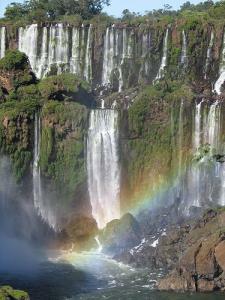 The Iguazu Falls are undoubtedly one of the must-sees in Argentina, if not South America. It’s a full-body experience, the size and power of the falls is something else, to which neither prose nor photos can really do justice. Just standing on the rocky edge looking down, you can feel the vibrations of the crashing waters through your feet, and if you venture out on one of the many walkways built on both the Argentine and Brazilian sides over the abyss you get an even better view, a good soaking and all the vertigo thrills of hanging over vast clouds of wet spray and a lot of down-ness. 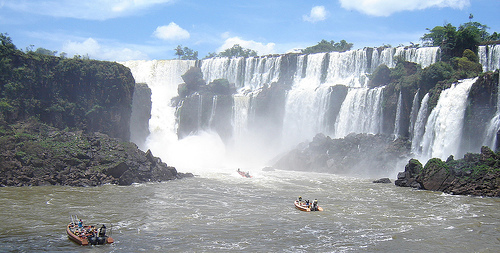 A significant period of the history of the Jesuit Church also took place here, in the area now known as the province of Misiones. A struggle between the Spanish and Portuguese crowns over their rights to territory in South America played out in the region in the early part of the 17th century, an episode that was immortalized in Roland Joffé’s 1986 epic film The Mission, starring Jeremy Irons as a Jesuit priest intent on protecting the guaraní native Indians from slave traders. In their heyday, over 140,000 native Indians lived in some 30 Jesuit communities, of which 11 were in the area now known as the province of Misiones. Some of these communities have been restored and can be visited today. This page rendered in 0.546 seconds.